Does Facebook Own Your Friends? The world is already abuzz about Google+, even though it's not accessible to most. Still, many doubt that anyone, even the mighty one from Mountain View, can catch up to Facebook's half a billion (at least) active users. Unless, maybe there was a simple way to import your Facebook friends to your Google+ Circles. Indeed, there is an app for that. Actually, it's a Chrome extension. 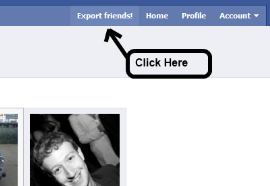 Facebook Friend Exporter is the work of developer Mohamed Mansour, a software engineer who works at Blackberry maker Research in Motion, according to his online resume ( and his Google+ page), and develops open-source tools in his spare time. The extension wasn't designed with Google+ in mind; in fact, version 1 was released last November, but it has exploded in the past week as the limited number of Google+ beta users have gone searching for ways to port over their entire Facebook world to Google. uming, depending on your broadband speed and how many friends you have. After about half an hour, only 150 of my friends had been processed. The app doesn't instantly stuff all your Facebook friends right into Google+, either. 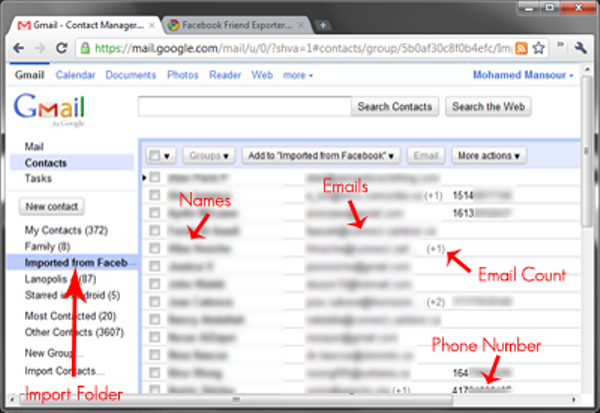 It just makes them available in your Google contacts, so you can then move them into Circles on Google+. All in all, the multiple step process can take quite a while, and many users have reported problems ranging from getting "stuck" during the import process to crashed browsers. "Get *your* data contact out of Facebook, whether they want you to or not. You gave them your friends and allowed them to store that data, and you have right to take it back out! Facebook doesn't own my friends." Of course, Facebook does allow you to download all your information, including wall posts, photos, and friend data, all in one big chunk, but it's not exactly a user-friendly chunk. Mansour's Chrome extension isn't a perfect solution to the problem of Facebook-to-Google+ migration either, but it's a start. I have to wonder how long it will last now that it -- and Google -- certainly have the more full attention of Facebook.